A ‘Points of View’ series giving our perspectives on the ‘Partner Contribution and Reward Survey 2017’ by Performance Leader, Managing Partners’ Forum (MPF) and Internal Consulting Group (ICG). Performance management has been a hot topic within professional services in recent times with firms including Deloitte, PwC, Accenture, Kelly Services and IBM choosing to either stop or redesign their performance review activities. Up until now most research and writing around this subject has assumed the context of a classic hierarchical organisational structure, where leaders manage subordinates to maintain and improve their performance in line with the firm’s objectives. 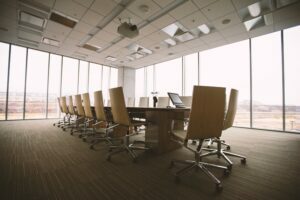 An area that has received far less attention however, is how performance should be managed within the unique dynamics, politics and structure of the professional services firm’s Partner group. Such a complex, political environment inevitably throws up difficulties for the traditional approach to performance management which assumes ‘leaders’ managing ‘followers’. 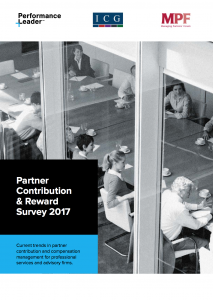 The ‘Partner Contribution and Reward Survey 2017’ by Performance Leader, Managing Partners’ Forum (MPF) and Internal Consulting Group offers an interesting insight into how Partner performance is determined and then assessed within Partner groups and how gaps between expectation and actual results are resolved. Based on the study, we have chosen to approach the topic of performance management within Partner groups from two perspectives. We have defined the first as ‘The Macro perspective’ which examines the current state of Partners’ attitudes towards performance management and its current standing in the Partner group: Is the definition of Partner “No more development required”? Adopting a ‘Micro Perspective’ we then examine the actual performance management activities that are currently undertaken within Partner groups: Underperformance all round? The Performance Management Conversation in Partner Groups. Based on our analyses we propose Five recommendations to significantly improve the management of performance within the Partner group.